After a fabulous summer of reading, I now find myself in the midst of a graphic novel reading streak. And it’s been really wonderful. 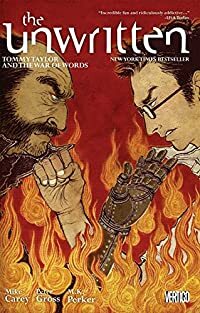 A good graphic novel is such a delight: intense, gripping, and short enough to finish in one sitting. So far I’ve read The Unwritten, Vol. 1: Tommy Taylor and the Bogus Identity and The Unwritten, Vol. 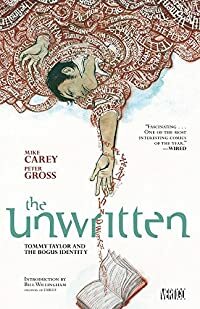 2: Inside Man; I’ve put in a request for the next three volumes from the library, and am keeping my fingers crossed that they’ll be getting a copy of, The Unwritten, Vol 6: Tommy Taylor and the War of Words when it’s released next month. 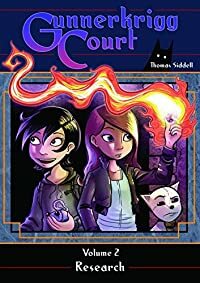 When an enormous scandal reveals that Tom might really be a boy-wizard made flesh, Tom comes into contact with a very mysterious, very deadly group that’s secretly kept tabs on him all his life. Now, to protect his own life and discover the truth behind his origins, Tom will travel the world, eventually finding himself at locations all featured on a very special map — one kept by the deadly group that charts places throughout world history where fictions have impacted and tangibly shaped reality, those stories ranging from famous literary works to folktales to pop culture. And in the process of figuring out what it all means, Tom will find himself having to figure out a huge conspiracy mystery that spans the entirety of the history of fiction. Lovely, lovely reads. And best of all? 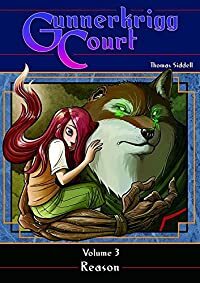 Gunnerkrigg Court is a webcomic and you can read the entire series (including the panels that come after volume 3) over at Tom Siddell’s Gunnerkrigg Court. Although, once you’ve read it online, you’re probably going to want to get the hardcover copies of the books, too. 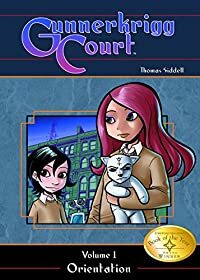 I really enjoyed Courtney Crumrin’s character: smart and talented, strong in her values, which often differs from the values of those around her, and that touch of loneliness that makes you want to hug her, even though you know it would likely be quite the prickly squirmy affair. Mangaman was such a quick, fun and quirky read! 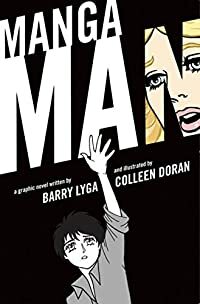 I haven’t read a lot of anime or manga, but I’m familiar enough with the conventions, and a lot of the things happening in Mangaman were laugh out loud funny. Ryoko, a manga character from a manga world, falls through the Rip into the “real” world—the western world—and tries to survive as the ultimate outsider at a typical American high school. 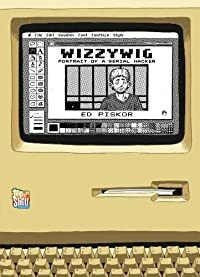 WIZZYWIG was an enjoyable read. It also made me very sad. And a little shocked that the government could impose four years of pre-trial custody like that (Kevin “Boingthump” Phenicle, the fictional hacker in WIZZYWIG, is based on real-life hackers, including Kevin Mitnik who, I learned after reading WIZZYWIG, spent four and a half years in pre-trial custody. That’s a very long time to be incarcerated without the benefit of a trial.) 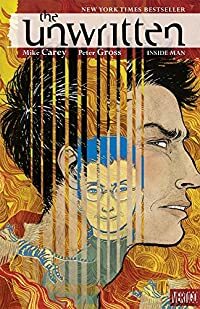 This is definitely a graphic novel that makes you think. 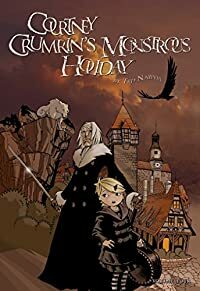 I meant to post about more of the graphic novels I’ve read recently, but this is already quite a long post as it is (I know. I can’t help it!). 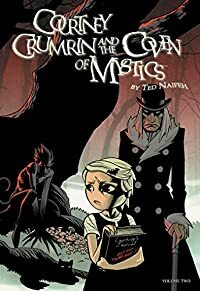 I also have several graphic novels in my TBR stacks that I can hardly wait to get to, including the Fables series, and quite a few non-series ones. I can’t say I’m anywhere near sated when it comes to graphic novels, and I’m on the look-out for more good reads. If there’s a graphic novel you’d recommend, please let me know in the comments! 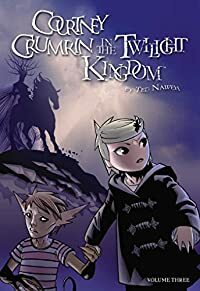 This entry was posted in Books and Reading and tagged Courtney Crumrin, graphic novels, Gunnerkrigg Court, The Unwritten on September 18, 2012 by Belle Wong.